As we finish out the year, it’s a great time to develop a 2017 Marketing Plan for your business. 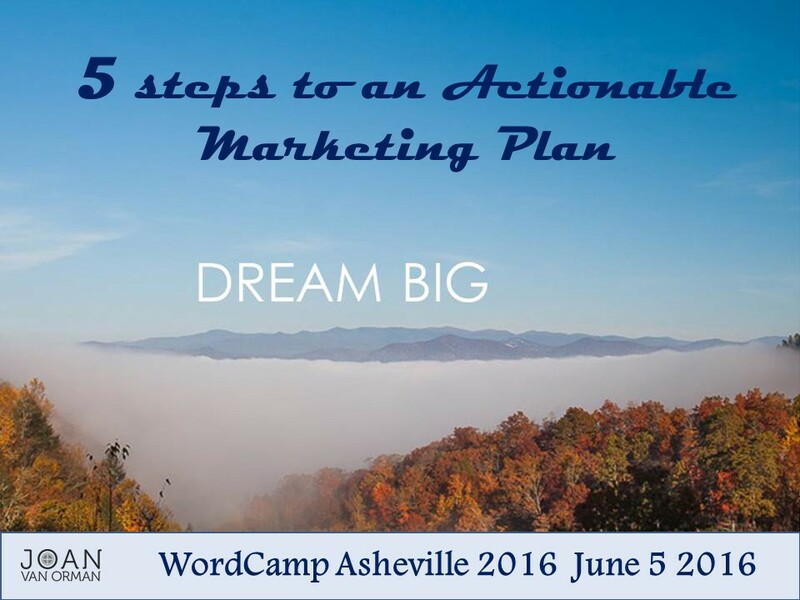 In an earlier post, there’s information on the 5 simple steps to an actionable marketing plan, using The FOCUS Approach. This post will discuss Step 3 – Create Your Visibility. This may be the most fun step! It includes auditing your current marketing materials. What is working? Where do you get your best customers and customer leads? Then where can you tweak materials or develop new materials to better meet communication, marketing and business goals?One of my favorite niches is what I call “reluctant marketers.” Businesses who for a variety of reasons (time, budget, knowledge, humility, etc.) don’t want or know how to market. Often I’ll present on “Do It Yourself Marketing Tips” and when working with a client will develop a toolkit that can easily be updated. Examples include press release and template, color sheet/mini brochure of products, bios or visual timelines/resumes, stationary, cover letters. When developing new materials here are some questions to consider: What is your brand palette? Is there a color palette that you use to coordinate your marketing materials? Look at how other companies use a color palette to stand out. With a color palette and logo based on your niche/positioning – now you can mix and match and create to develop marketing materials. Here’s a slideshow of how other artists and or creative businesses have Created Their Visibility with marketing materials. Thank you photographers Les Saucier, Jeff Miller, Jack Christfield, Sue Hershey, Bruce Siulinski and artist Sharyn Fogel. 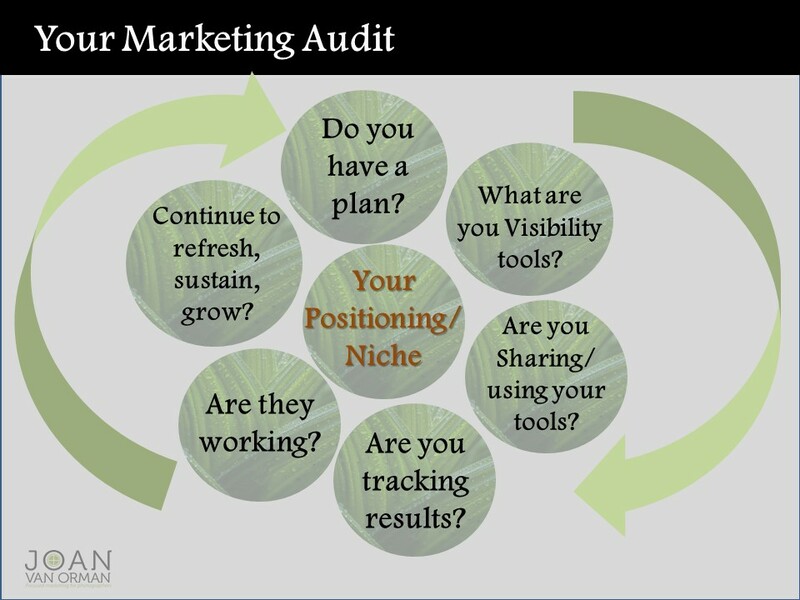 Here’s a tool to use as a guideline to audit your current marketing program with FOCUS questions.